Here is a guest blog from Jon Bradley. 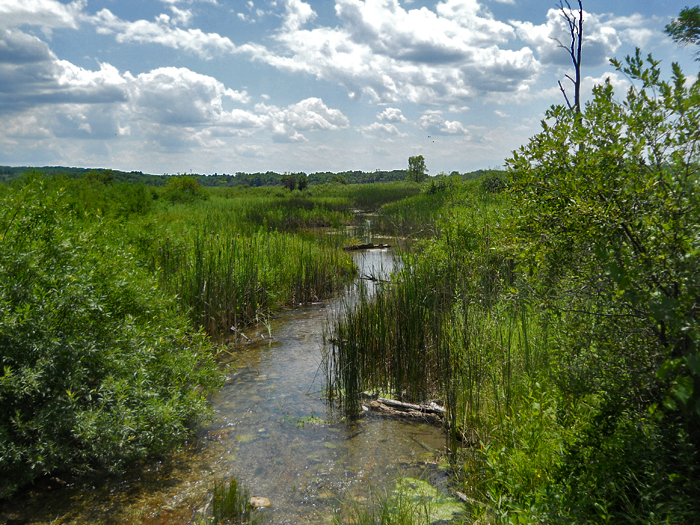 The Scuppernong Springs Nature Trail is one of my favorite places. I started walking it when I was just a young child. I still grab a guide at the entrance of the trail every time I go, although I pretty much have the entire thing memorized. I’ve been to the trail at least once every year, and this year I’ve been lucky enough to visit it 6 times, and planning a 7th visit this October when the leaves change. 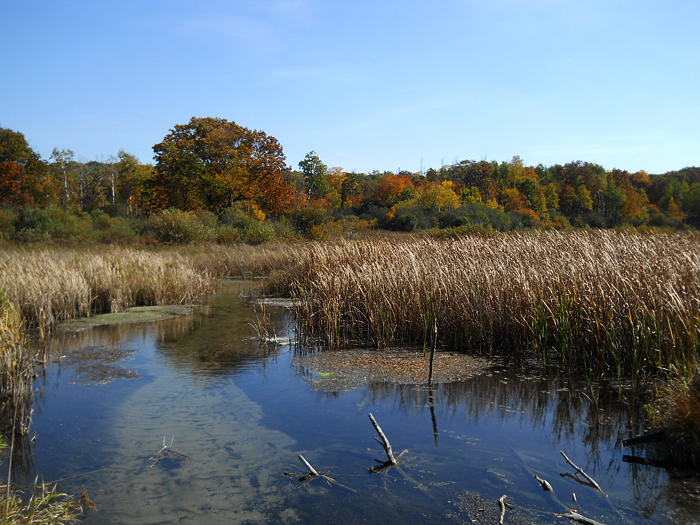 In fact, last year, on October 8th, I came for the fall colors as well, and it was a fantastic sight along the crystal clear Scuppernong River. 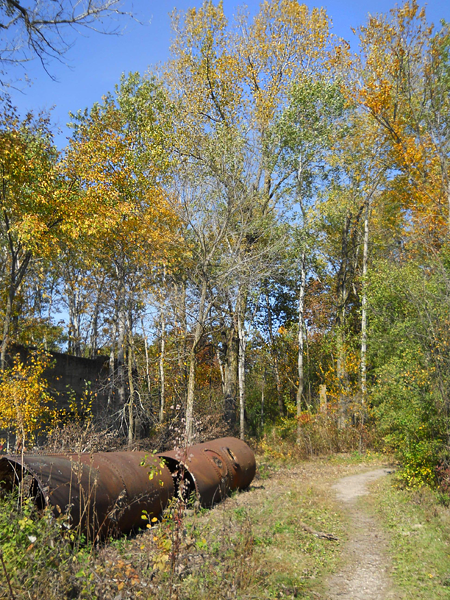 Also some fall colors at the old Marl Plant. One of the reasons I love this area so much is because it seems to be a good fit for a wide variety of animals and plants, some even threatened or endangered, and the common ones thrive. Snakes are almost a guaranteed sight along this trail in Spring and Autumn. 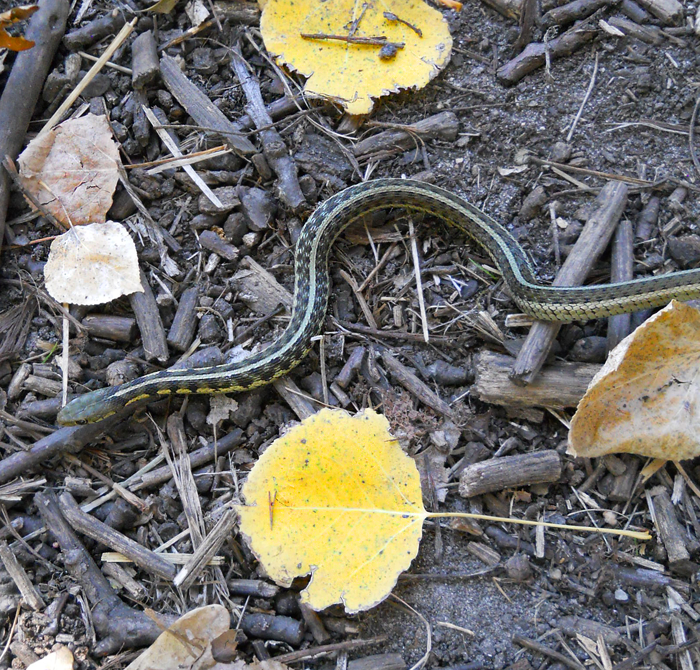 Last autumn I found this young Common Garter Snake next to the main Scuppernong springs. 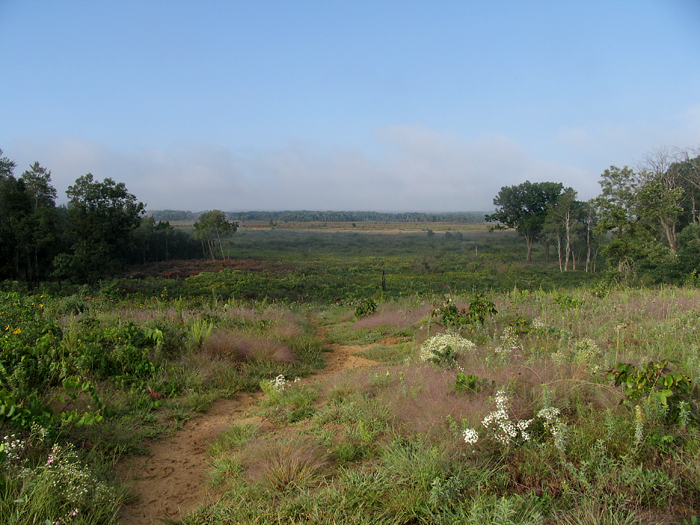 One of my favorite views (and with the recent efforts to clear out some trees, an even better view) of the Scuppernong River Habitat Area, is located at the old Native American campsite. This photo of the fantastic view was taken 8/27/12. Last Autumn I found this large spider at the Native American campsite. 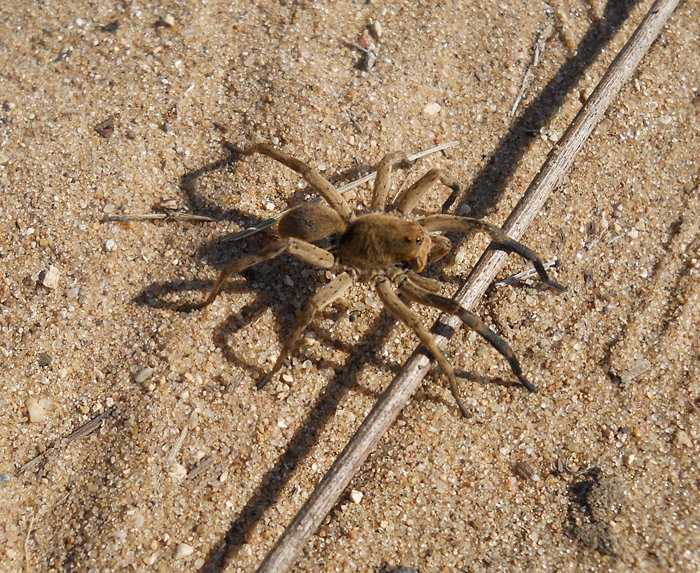 I don’t know spiders, but I think its probably a Wolf Spider. Here is a photo of the Hotel Spring that I took earlier this year, and I’d like to mention on my last trip there (2 days ago) I noticed one of the bricks had fallen off the wall and into the water. 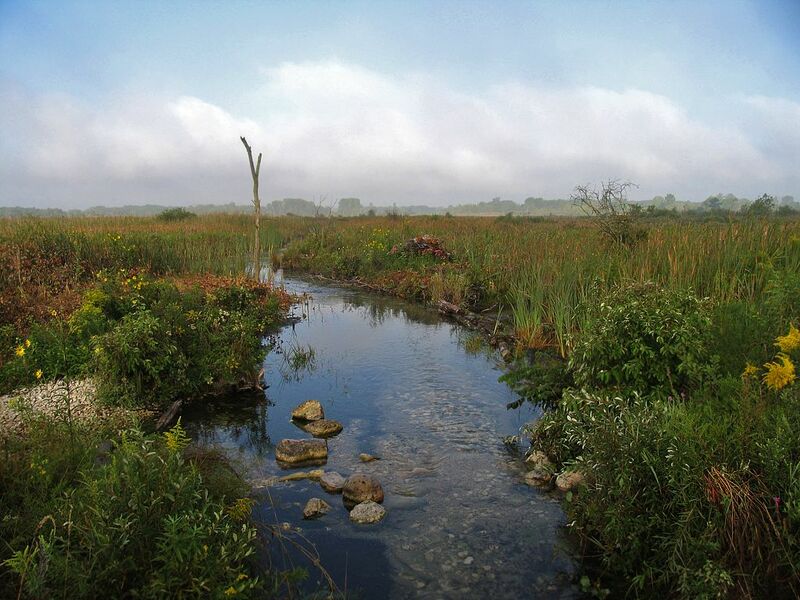 Lastly, I have a few photos of the centerpiece of this trail, the Scuppernong River. 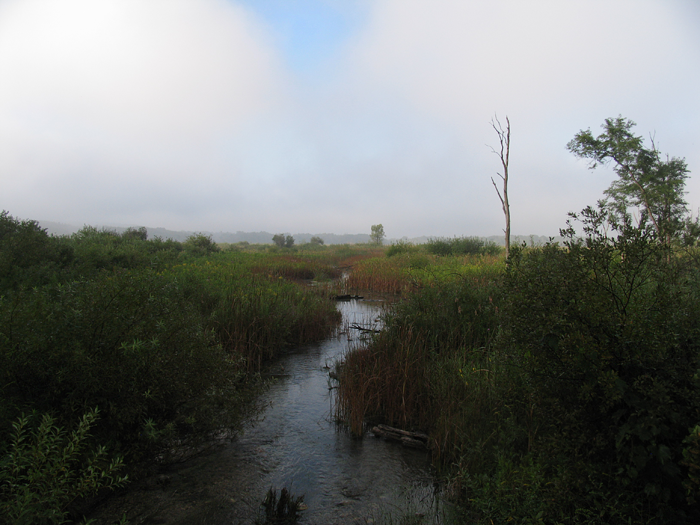 The first photo was taken on August 27th, in the morning before the fog rolled off. This is one of my favorite parts of the trail. There always seems to be a lot of bird life in this area such as Eastern Kingbirds, Cooper’s Hawks, Belted Kingfishers, American Goldfinches, and Great Blue Herons. 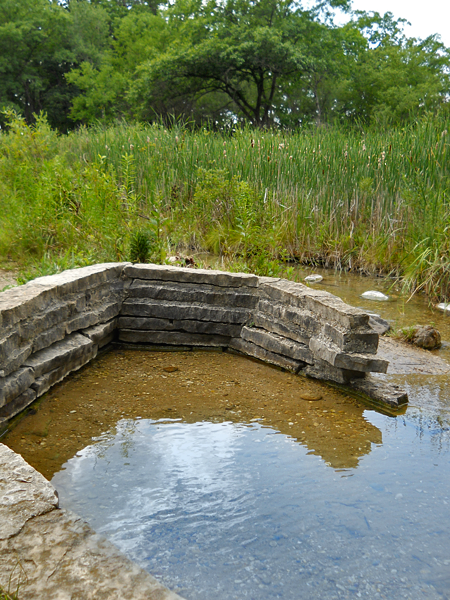 I know its also a good place to find Garter Snakes, Hog-Nosed Snakes, and Northern Watersnakes. I love that the place is literally crawling with wildlife. These two photos were taken just past the Marl Works, to the east. 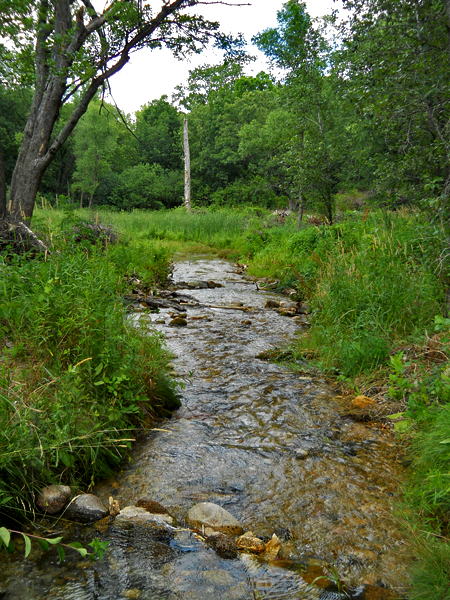 This area is listed as #5 on the guide and highlights fur trapping. The first photo was taken in the morning on August 27th, 2012, and the second was taken in the early afternoon on July 9th, 2012. Finally, this area was recently cleared right near the old Hotel, and is listed #12 on the guide. This entry was posted in Flora and Fauna, Scuppernong River, Scuppernong Springs and tagged Kettle Moraine State Forest, Kettle Moraine Trails, Scuppernong River, Scuppernong Springs, SouthEastern Wisconsin Hiking Trails by paulmozina. Bookmark the permalink.